There is a boom of new developer's projects in Prague: houses at newly built marinas. The best and maybe the most luxurious will be at Holesovice marina - former real industrial dock. The second one would be at Modrany. There is a lot of demolitions going on here, all for the new marina and new modern buildings complex. 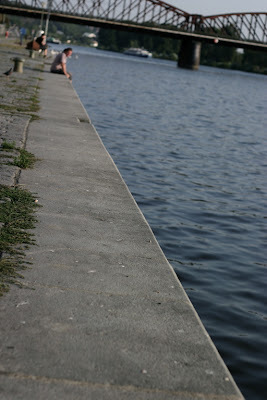 One of the reasons for new marinas may be the fact that it is allowed to use /personal/ motor boats on Vltava river now. So after years you can see all those small boats on Vltava.